The idea behind Conscious and Balanced Riding is to find mental and physical alignment of the rider and their horse. Harmony and joy find their expression in this style of riding. Conscious and Balanced Riding is the training method for owners who want to improve their centering, balance, awareness and flexibility while improving the strength, health, mental and physical balance of their horses. Riders at all levels – from beginners to trainers – find support and new ideas on how to improve their skills and techniques. 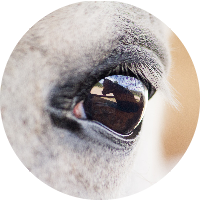 Our goal is to develop an individual solution which makes learning the techniques fun and enjoyable for both you and your horse. Through an atmosphere of mutual trust, learning happens in a relaxed and effective way. Let’s connect at the Sacramento Horse Expo! I will be presenting some fun, interactive Centered Riding exercises! There will be lots of valuable take-aways for you! 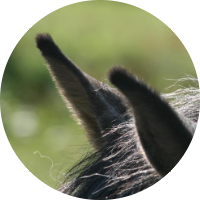 Learn an exciting new way to connect deeply to your horse in the saddle and on the ground. The Master Class Program is designed to create a vital connection between horse and rider that enhances both the rider’s and horse’s experience and enjoyment. 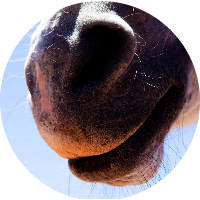 This 6-months program is a transformational experience for both you and your horse. Your horse will become your life coach. Clinics are an effective and joyful way to improve your riding and learn lots of new things in the companion of like-minded people. 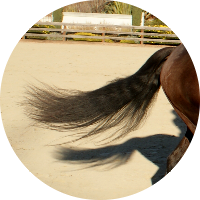 Physical and emotional healing sessions for yourself and/or healing sessions for your horse. Carla offers free mini-workshops. These workshops are highly interactive. You won’t have to bring your horse as the exercises will be unmounted. You will have a lot of Aha-experiences and take aways. If you would like to have one of these workshops at your barn, please contact me. Carla Bauchmueller has been passionate about horses since her childhood and is a respected and noteworthy trainer of both horses and riders throughout Germany and Europe. She has a wide range of qualifications and has worked with many prestigious trainers over the last 20 years. 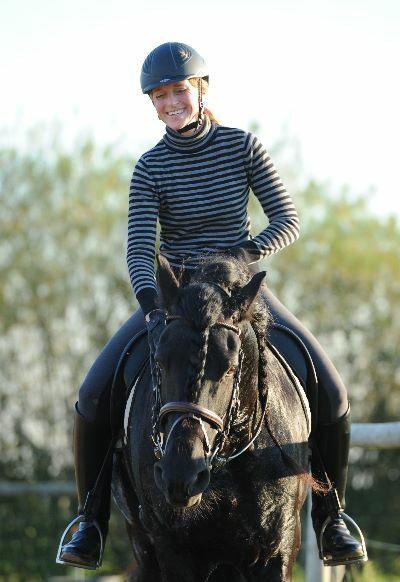 Carla began her training from a young age in dressage and show jumping. After completing high school, she attended the University of Muenster, Germany where she earned a degree in economics and then went on to do 2 years of full-time training at the FS-Equestrian Center in Reken, Germany, an innovative center for leisure riders for over 30 years. (Linda Tellington wrote her first book here). Over the years, she has become familiar with different styles of riding such as western and classical Spanish and French dressage riding and in the process has worked with a variety of horses and riders. Carla is accredited by the German National Federation for horse riding (FN – Federation National) and achieved the highest level, that of trainer level A. In addition to her accreditation by the German National Federation, she is a level 3 Centered Riding Instructor and has been licensed by Sally Swift since 1994. During her years of teaching and riding, she has continued to see different trainers as a way to improve her own abilities so that she employs a wide range of techniques and talents. As a means to better understand balance, she studied yoga and became an instructor, improving her ability to train riders and use exercise effectively. It is through her own intuition that she finds what her stundents need, tailoring to their individual situations, and finds the best course of action. Carla currently is a traveling riding instructor, with clients in Europe and the US, working with owners who want to improve their riding abilities through clinics and private lessons and having their horses trained. She lives in California with her husband. Carla has a great abililty to observe. She carries out fast but highly qualified precision work and at the same time she holds a lot of empathy for the rider and the horse. She is patient and creative in dealing with humans and horses. She lets us feel that we found the solution ourselves. Carla pedagogical and training`s approach are – compared to other systems – incredibly effective in correcting posture and balance. Her training is very effective with lots of short cuts. And Carla´s training makes you feel light and happy. After 15 years of not riding, I felt taken care of and taken seriously by Carla. Thank you for a wonderful morning with so much good stuff to learn and remember. Tonic says thank you as well, we had a wonderful ride this afternoon.